SUMMARY OF INCIDENT: On November 30, 2018, at approximately 2155 hours, Troopers from the Vermont State Police - St. Albans Barracks conducted a motor vehicle stop for a violation on Vermont Route 108 South at the intersection of Burnor Road in the Town of Cambridge, Vermont. The operator of the vehicle was identified as William Hunter (Age 56). Throughout the investigation, Hunter showed signs of impairment and was subsequently screened for DUI. Hunter was taken into custody, and processed for Driving Under the Influence #2. Hunter was later released on citation to appear at Vermont Superior Court, Lemoille County Criminal Division on January 30, 2018 at 1230 hours. COURT: Vermont Superior Court, Lemoille Criminal Division. SUMMARY OF INCIDENT: On November 30th, 2018 at approximately 1547 hours Troopers with Vermont State Police St. Albans were notified of a single vehicle rollover crash on I-89 Southbound in the area of Mile Marker 109 in the town of Georgia. Troopers responded to the scene and identified the operator and sole occupant of the vehicle as Natasha Blouin (age 25) of St. Albans. Investigation determined that Blouin had been operating the vehicle while under the influence of drugs at the time of the crash and interviews with witnesses determined that the crash was due to Blouin operating the vehicle in a careless and negligent manner. 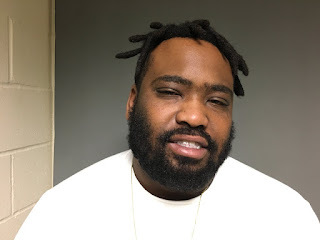 Blouin was arrested at the scene without incident and transported to the St. Albans State Police Barracks for processing, during which she was evaluated by a Drug Recognition Expert (DRE). 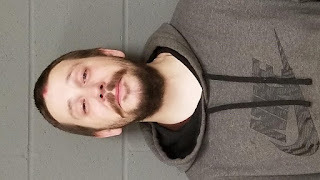 At the conclusion of processing Blouin was released with a citation to appear before Franklin County Superior Court on February 11th, 2019 at 1300 hours to answer to the aforementioned charges. On 11/30/18 at approximately 1853 hours VSP Middlesex received a report of a lost backcountry skier off the back side of the Mad River Ski Area in Fayston. E911 mapping indicated the caller’s actual location to be in Buels Gore. The caller was identified as Silas Clark, age 37 of Bristol, VT. Members of the Vermont State Police, Mad River Valley Ambulance, Camel’s Hump Backcountry Rescue, Waterbury Backcountry Rescue, and the Waitsfield Fire Department responded to the incident. At approximately 2210 hours Clark was located and assisted out of the woods. He was found to be in good condition. While recent snowfalls have made for great ski conditions, people should stay on groomed trails. Travel is extremely difficult in deep unconsolidated snow. See below update in red for bail status of suspects. All have been lodged at the Northern State Correctional Facility and are due in court on 12/03/2018 at 1230 in Orleans Superior Court. On the above date and time, the Vermont State Police discovered that unknown individuals had occupied a camp in the town of Irasburg owned by Robert Quirion, and they did not have permission to be at the camp. Troopers from the Derby Barracks, deputies of the Orleans County Sheriff’s Department and a Department of Motor Vehicles inspector responded to the camp in Irasburg. Accused Sarah Romanowski was stopped on Stephenson Hgts Road in Irasburg as she was leaving alone in a vehicle. As officers approached the camp, they discovered that the occupants had fled the scene on foot. One accused, John Regan, was taken into custody just outside the camp. Troopers and deputies with K9s tracked the other three individuals through deep snow for 1-2 miles for approximately an hour before they were located and taken into custody in the woods. The three were Identified as Ronald Harris, Daniel Peters and Andrea Poutre. After the subjects were apprehended it was discovered that Ronald Harris had an active arrest warrant issued out of Pennsylvania for aggravated assault. Andrea Poutre was on court-ordered conditions of release for a “Heroin – Sale or Delivery 200 mg or more” offense that occurred earlier in the year. She also was on conditions of release for case involving charges of retail theft, false info to law enforcement officer and violation of conditions of release. Daniel Peters was on court-ordered conditions of release for burglary into an occupied dwelling that occurred earlier in the year in Orleans County. Investigators are working with the State’s Attorney’s Office and the court to determine charges and arraignment details. Harris, Peters, Poutre and Regan remain in custody pending a court determination of bail and conditions of release. Romanowski was released on a citation for unlawful trespass and is due in court Jan. 15, 2019. The spelling of one of the names was incorrect in the previous version of this release. Please see the update below in red. * Barre Municipal Auditorium, 16 Auditorium Hill: ON STANDBY, dial 2-1-1 if you need to stay at this or any shelter. A list of shelters and warming centers will be updated as those facilities close or new centers open on the Vermont Emergency Management website, https://vem.vermont.gov<https://vem.vermont.gov/>. Individuals also can call 2-1-1 to find an overnight shelter or a warming center, or to report their current sheltering or warming needs. That information is shared with Vermont Emergency Management to help determine the areas of greatest need for warming or overnight accommodations. Per Roger at Jericho Highway as of 1700 tonight Raceway Road in Jericho will be open end to end. SUMMARY OF INCIDENT: On 11-30-18 at approximately 0920 hours, the Vermont State Police received a 911 hang-up call from a residence on Rogers Drive in the town of Cavendish. While en-route, it was determined that a family fight was ongoing. Upon arrival it was determined that Michael P. Mills had assaulted a family member and as a result was arrested for Domestic Assault. Mills was processed at the Westminster Barracks and released with conditions to stay away from the victim and report to Windsor Superior court on December 3, 2018. DATE/TIME: 11/30/18 at approximately 11:11 A.M.
performed a motor vehicle stop on Quechee Road in the town of Hartland. citation to appear in criminal court and released. On November 29, 2018, at approximately 1656 hours, Troopers from the Vermont State Police Rutland Barracks responded to the report of an armed robbery that occurred in the parking lot of Price Chopper in West Rutland, Vermont. Investigation revealed that the assailant brandished a handgun and demanded money from the victim. The victim surrendered her wallet and no injuries were reported. Members of the Vermont State Police, along with the assistance of the Rutland County Sheriff’s Department were able to deploy a K9, which led them to 140 Marble Street in West Rutland. At the residence, the K9 alerted on an individual who was identified as Michael Withington, age 29, who was located outside of the residence. Detectives with the Vermont State Police interviewed with Withington, at which point he confessed to the armed robbery of the female victim in the parking lot of the West Rutland Price Chopper. The handgun and other items of evidence were recovered which linked Withington to the crime. It was learned that Withington was currently in the custody of the Vermont Department of Corrections. Members of VT DOC were contacted and informed of the incident. Withington was transported and lodged at the Marble Valley Correctional Facility for violating the terms of his furlough. Withington will remain incarcerated until he is arraigned on December 10, 2018 at 0830 to answer the charge of Assault and Robbery, a felony which is punishable up to 15 years in the State of Vermont. On November 30, 2018, at approximately 1220 hours, VSP conducted a motor vehicle stop on Route 104 in Cambridge. The operator was identified as Wendy Sue Kittell (age 60). A DMV Record check showed her license being under criminal suspension (DLS). Kittell was cited to appear in Chittenden County Superior Court on January 8th at 0830 hours for DLS. SUMMARY OF INCIDENT: On 11-30-18, Troopers from the Royalton Barracks stopped Clachar for traveling at 106 mph in a 65 mph zone. Clachar was arrested, processed and released with a criminal citation for the offense. It was learned that Withington was currently in the custody of the Vermont Department of Corrections. Members of VT DOC were contacted and informed of the incident. Withington was transported and lodged at the Marble Valley Correctional Facility for violating the terms of his probation. Withington will remain incarcerated until he is arraigned on December 10, 2018 at 0830 to answer the charge of Assault and Robbery, a felony which is punishable up to 15 years in the State of Vermont. Mugshot for Michael Withington attached to this email.